The WA Magpies are proud sponsors of Brody Mihocek for Season 2019. 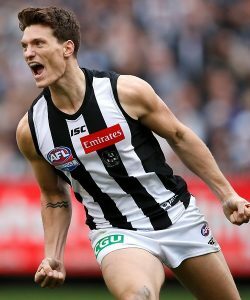 Brody was the surprise packet of Season 2018 after being recruited by the Magpies as a mature-aged rookie from VFL club Port Melbourne as a key defender. Brody made his AFL debut at centre half-forward against Fremantle in Round 11, going on to play the remaining sixteen games including the Grand Final, booting 29 goals. Brody was an integral player for the Magpies last year and just missed the ultimate prize of a premiership medallion. 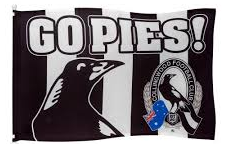 We wish Brody Mihocek another great season and continued success with the Collingwood Football Club.